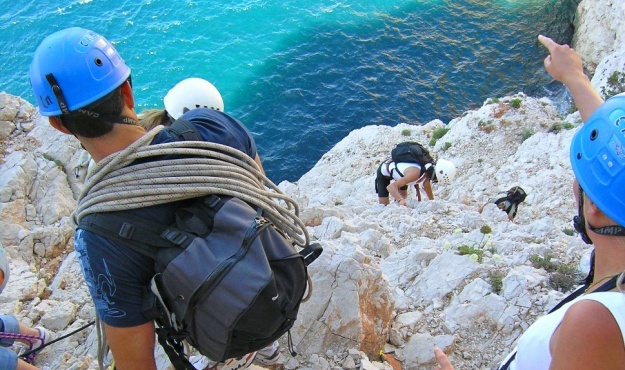 Activities that bridge the gap between trekking and rock climbing, via ferrata and via cordata are ideal ways to discover and master the vertical world. Set in some truly exceptional scenery, trails are laid out across cliffs or overhanging, rocky faces and made safe by handrails or “life lines” to which participants are attached. The routes are equipped with installed gear (fixed footholds, ramps, walkways), may simply follow the natural line of the rocks or have abseiling ropes and flying foxes/zip-lines.